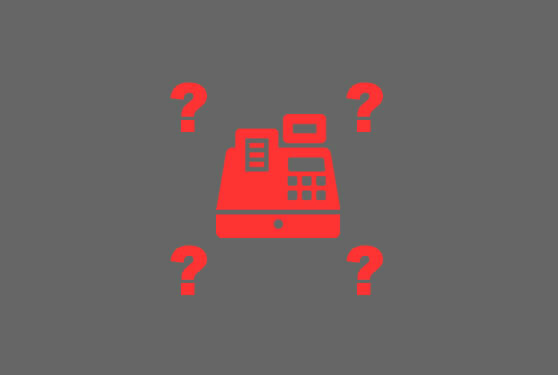 Hiboutik works with many compatible POS hardware : receipt printers, barcode scanners, cash-drawers, label printers…This article gives you information, advice and tips for recommended hardware. Hiboutik is compatible with all ESC/POS receipt printers (standard command syntax and protocol for receipt printers). A thermal receipt printer should be loaded with thermo-sensitive paper in rolls of 3-1/8” or 2-1/4” width. In Hiboutik, printing is direct (you don’t need to go through your browser print dialog form). You can only print from the device where the printer is installed. If you don’t have the drivers of your printer, you can install it as a Generic/Raw printer. You must install the Himp utility. For Windows, Linux and Mac, You must install the Himp utility. For Android, you must install and activate the Himp application (available on the Playstore). For iOS and others OS (ex : Chrome OS) you must create a port redirection on your router. Please contact our support service. Install the Himp application (from the Playstore) and enable Bluetooth from the settings of the application. The setup guide to install your printer on Hiboutik is available in the “Settings/Printing/Printing tests” section on your account. You can find compatible receipt printers on our partner website pos-hardware.eu. 1- To print your logo on your receipts, you must first upload your logo into your printer, with the utility software provided by your printer manufacturer. Sometimes, this operation can be only performed from a Windows device. 2- We don’t recommend Star printers because they don’t interpret correctly the ESC/POS language without going though the Star drivers. It will not be a problem for a local receipt printer (USB) installed on a Windows, but it should not work for others configurations. Hiboutik is compatible with all ZPL label printers (standard command syntax and protocol for label printers). You can use either a local printer (USB) or a network printer (Ethernet). OS compatibility is the same as for the receipt printers. By default, from your Hiboutik account you can print on two label sizes 51x25mm or 32x25mm. But you can setup a customized layout for your own label size : read the guide. If you don’t have a ZPL label printer, you will have to download your product database from your Hiboutik account (Products/Import-Export), and use the software of your label printer. Dymo and Brother label printers are not ZPL compatible. You can find compatible label printers on our partner website pos-hardware.eu. A cash drawer is connected to your receipt printer with a DK cable (RJ11/RJ12 cable to plug into the receipt printer). The cash drawer is driven by the receipt printer to open. You don’t need to make any additional setup in your Hiboutik account if your receipt printer is already installed. You will find cash drawers with different sizes, and with a front or top opening. You can find compatible cash drawers on our partner website pos-hardware.eu. 1- If the drawer doesn’t open from Hiboutik, but you can ear an electrical signal, check that the locker of the cash drawer is not closed. 2- Some cash drawers do not respect the standard electrical pulses to open. In this case you can contact our customer service to receive some codes to force the command. You don’t need additional setup to make your scanner works on your Hiboutik account. A barcode scanner behaves like a keyboard. You just need to plug it on your device. – or Bluetooth wireless scanners. For some Android devices, you can use USB scanners via a USB OTG adapter. Otherwise we recommend Bluetooth scanners. For iOS devices, you must use a Bluetooth scanners. You can find compatible barcode scanners on our partner website pos-hardware.eu. Some scanners will require extra programming to be done because they are often setup for the US market. You should follow the setup guide of your scanner to switch the country (just a barcode to scan when you enter the settings). To setup your hardware, you will find all instructions in the “Settings/Printing/Printing tests” section of your Hiboutik account, or on this knowledge base. If you want us to carry out the printer installation, you can subscribe to this service in the “Sales/ Subscriptions” tab of your account. A technician will remotely access to your computer via TeamViewer software. Beforehand, please send us the model and the interface (USB, Ethernet …) of your printer, and the operating system used.